The 15th of the Hebrew month of Shvat is the holiday of Tu Bishvat which according to the sage Hillel is the New Year of Trees, the date from which the age of a tree is calculated for the purpose of biblical tithes. Associated with the holiday is a festive meal of at least 10 different fruit including the 7 species (grape, fig, pomegranate, olive, date and 2 grains, wheat and barley) that are mentioned in the Bible as growing natively in the land of Israel. We drink 4 cups of wine in varying hue (white, pink and red), corresponding to the 4 seasons and the 4 aspects of creation according to the Kabbalah. This formula corresponds to the tradition inaugurated in the 16th century in Tzfat by the Ari, Rabbi Yitzchak Luria and his disciples of a Tu Bishvat seder in which the appropriate blessings on the fruit and wine would bring the world closer to spiritual perfection. 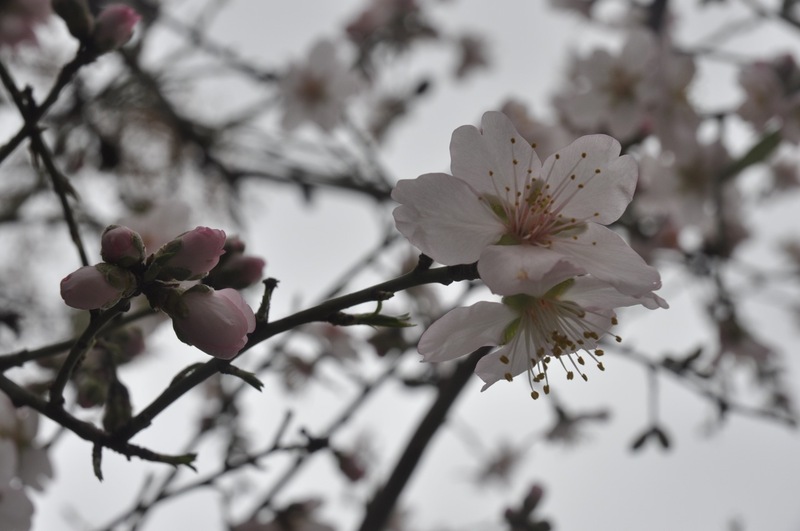 Another tree that is strongly connected to Tu Bishvat is the almond (Prunus dulcis) native to the Middle East and South Asia. 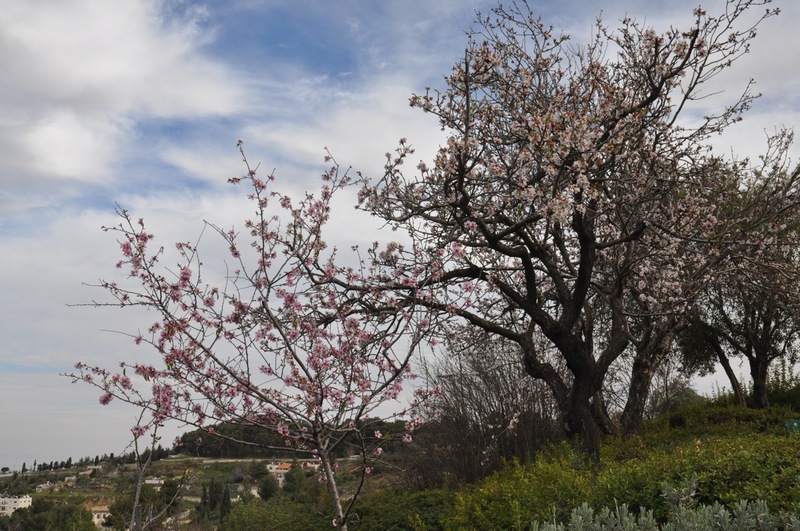 The almond tree is the first tree to blossom after the winter rains in Israel and so is the precursor of spring. There is even a song for the holiday about the almond tree. From every roof and every tree. Near Jerusalem, there are almond trees in Emeq HaMatzleva, the Sherover promenade, Sataf, Ein Kerem, Nahal Katlav, Bab el Wad. 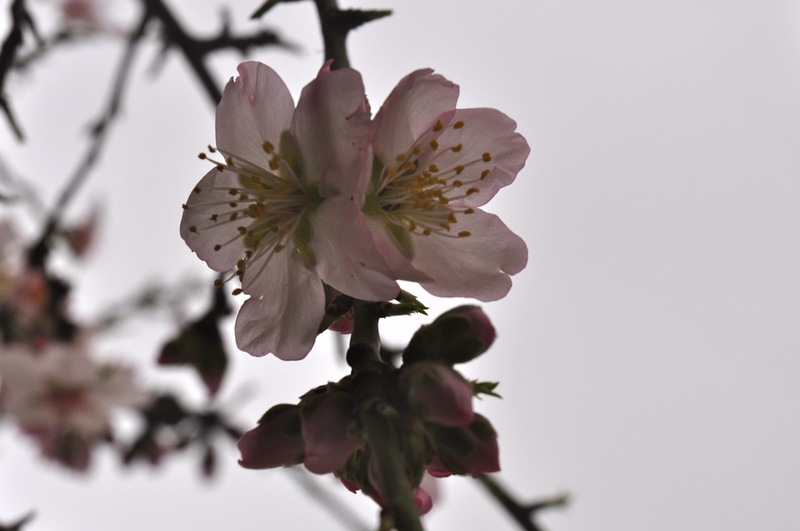 So today I went out to appreciate the almond trees, newly awakened and covered with delicate white and pink flowers in the Valley of the Cross. If you have tasted the fruit of the wild almond it is very bitter. This is because it contains the glycoside amygdalin which becomes transformed into a deadly poison, prussic acid (hydrogen cyanide) after crushing, chewing, or any other injury to the seed. Besides the almonds there were cyclamen and red anemones (kalaniot כלניות); there were also 3 researchers banding and recording birds (the Jerusalem Bird Observatory is nearby). 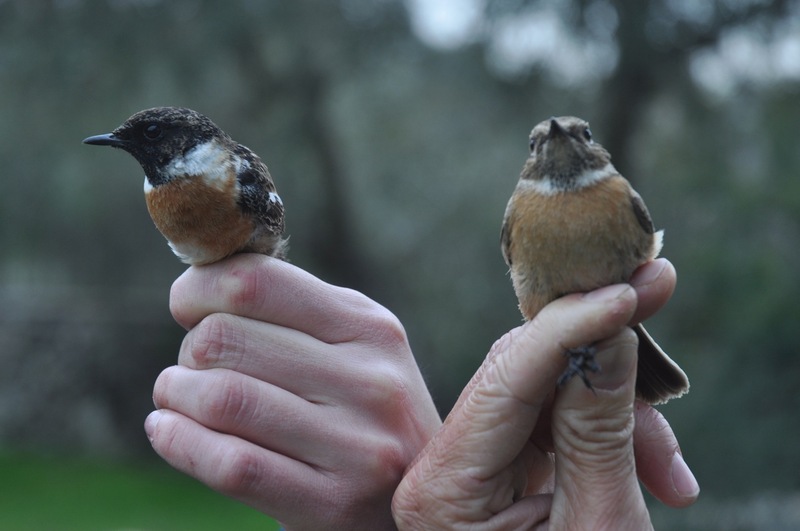 This entry was posted in Birding, Nature and tagged almond, almond trees, bird observatory, tu b'shvat, tu bishvat on February 7, 2012 by Shmuel Browns. Yesterday I was walking w Sumsum through the hursha, the woods near our house and there was a young almond blossoming and white crocus.